(New York, October 29, 2015) –Iran should stop preventing women and girls from attending volleyball matches and take further steps to promote gender equality, Human Rights Watch said today, opening a digital advocacy campaign to promote respect for women’s rights in the country. October 28, 2015—The US Congressional Representative from Minnesota, Keith Ellison, called today in a video message for the “unconditional release of Jason Rezaian.” “I call on the Iranian government to recognize that the truth should never be a crime, and Rezaian must be released immediately,” said Congressman Ellison, in an exclusive video by the International Campaign for Human Rights in Iran. OCT. 27, 2015 – By RICK GLADSTONE – The special United Nations investigator of human rights in Iran presented a highly critical report on Tuesday that contradicted the Tehran government’s own assessment, describing a record rate of executions, a deeply flawed judiciary and repression of journalists, dissidents, women and freedom of expression. 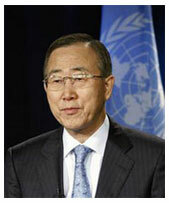 Summary – The Secretary-General has the honour to transmit the fifth report on the situation of human rights in the Islamic Republic of Iran submitted by the Special Rapporteur on the situation of human rights in the Islamic Republic of Iran to the General Assembly in accordance with Human Rights Council resolution 28/21. 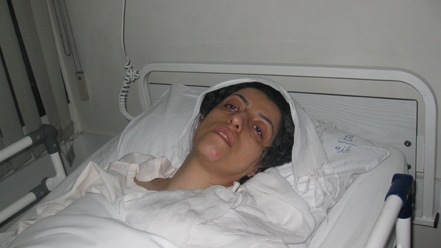 October 20, 2015 – The health of imprisoned activist Narges Mohammadi has deteriorated, and the prominent human rights defender is now reportedly chained to a hospital bed, denied proper medical treatment for a worsening neurological condition, and prevented from normal family visitation. 19.10.2015 – (Geneva-Paris) The Observatory for the Protection of Human Rights Defenders, a joint programme of the International Federation for Human Rights (FIDH) and the World Organisation Against Torture (OMCT), strongly denounces the cruel and inhuman treatment of the arbitrarily imprisoned human rights defender Ms. Nargess Mohammadi in Iran. 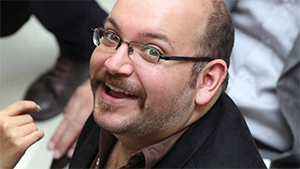 October 12, 2015—Jason Rezaian, the Washington Post correspondent imprisoned in Iran since July 22, 2014, has been convicted by a Tehran court in a prosecution and trial marked by the blatant denial of due process at every stage. 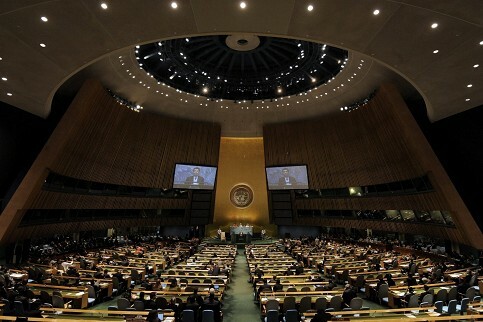 General to report to it at its seventieth session on the progress made in the implementation of the resolution. National Dialogue Quartet in Tunisia 2015 Peace Nobel Prize: MABROUK !!! 09.10.2015 – The Tunisian League for Human Rights, FIDH member organisation in Tunisia, alongside the Tunisian bar, UGTT and UTICA : 2015 Nobel Peace Prize. FIDH warmly welcomes this international recognition of the Quartet and the Tunisians’ essential struggle for democracy, fundamental freedoms, dignity and justice.